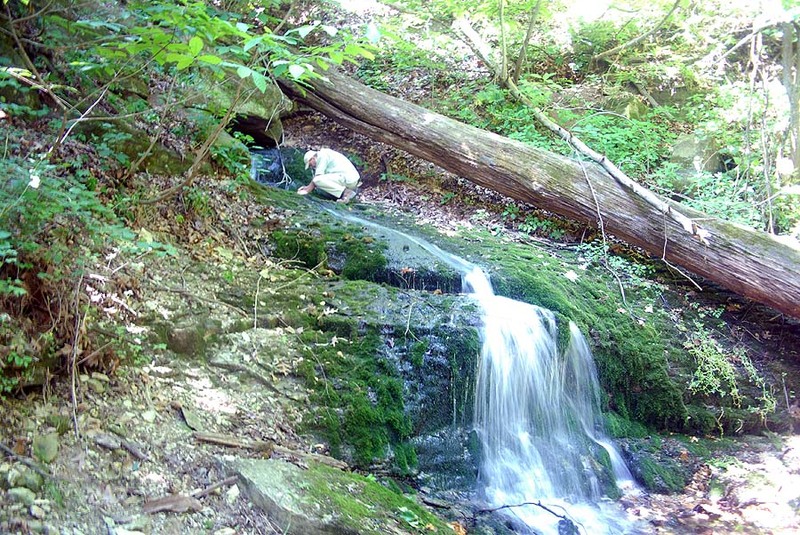 The Spout Spring site was discovered by Doug Porter. The site is situated on private property and is not open to the public. 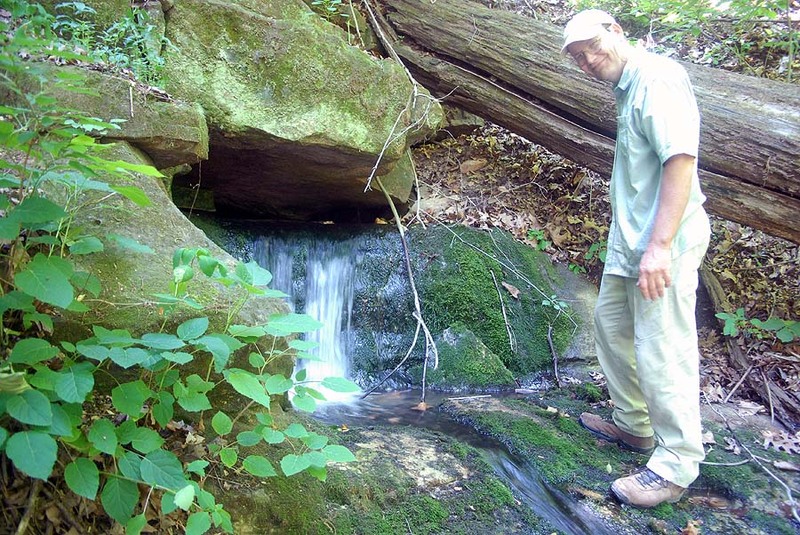 Doug Porter at Spout Spring. 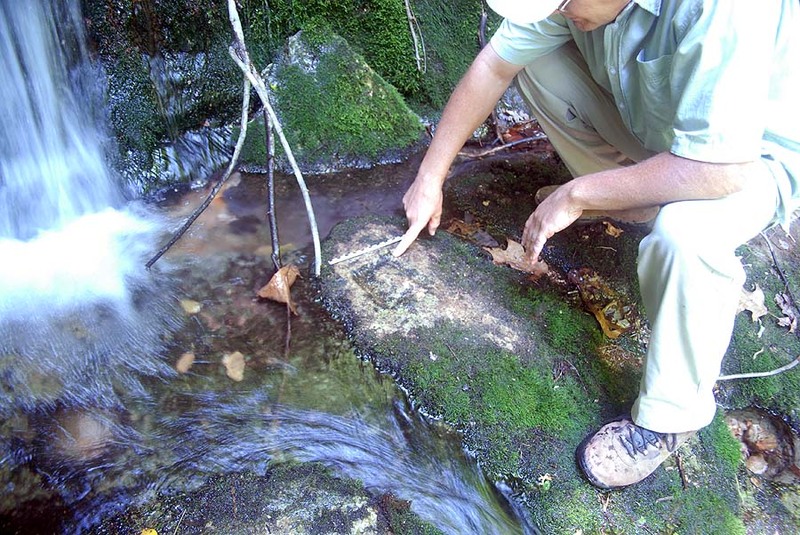 Doug points out the square/box petroglyph on a horizontal block of bedrock at Spout Spring. 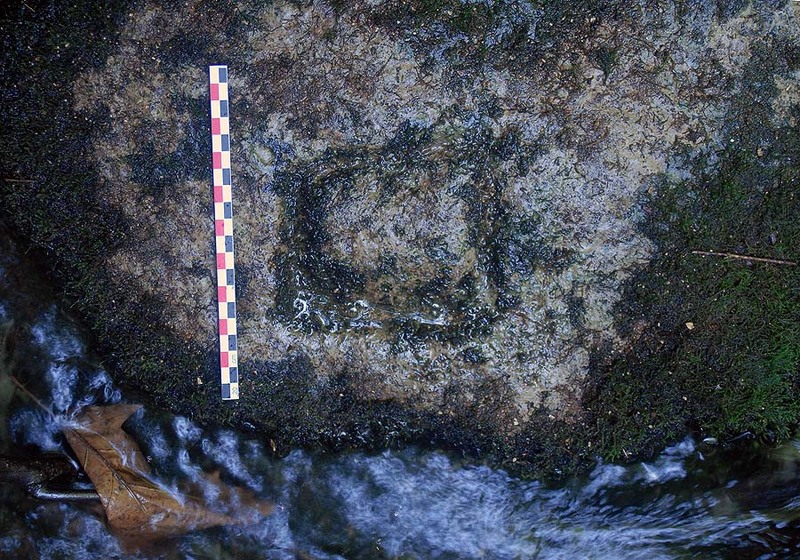 Petroglyph at Spout spring; scale in centimeters. 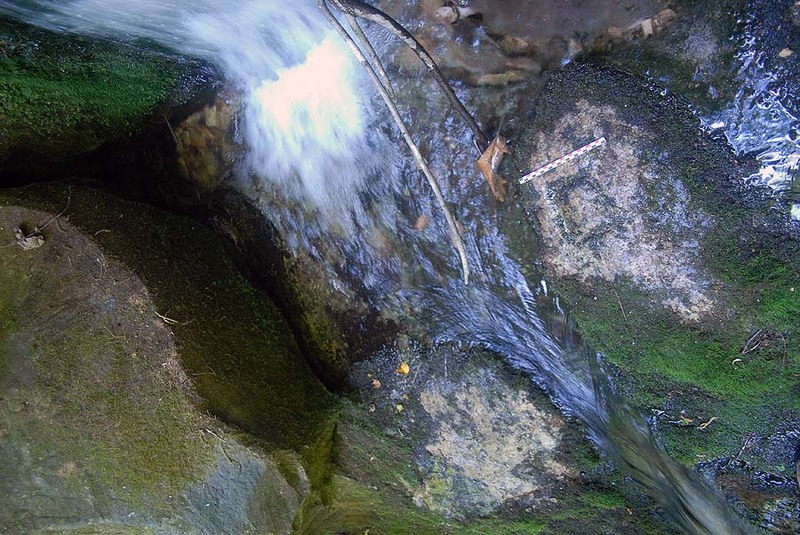 Rushing water and the petroglyph.